The Celtic Tiger is baring its claws in a different way these days. The Celtic Tiger is baring its claws in a different way these days Ireland, which not so very long ago sent investors fleeing when its overheated economy came crashing down, is now taking an action it once would never have considered: closing a tax loophole that had wooed corporations to its shores to escape taxes in their own domiciles. The Irish economy may not be roaring the way the Celtic Tiger did before the financial meltdown, but it’s definitely on the rise. While only three years ago, mired in austerity and paying off a massive bailout package, Ireland couldn’t turn to international markets for funds, that’s all old history now. Not only has Dublin managed to issue enough debt to amass 25 billion euros ($31.3 billion) to finance its operations for some time to come, but this past summer, for the first time since 2007, Ireland saw its costs to borrow drop lower than those of the U.K. The country exited its bailout at the end of 2013, and things are, cautiously, looking up as the economy has begun to grow once more. That may be one reason the government decided to act as it did, announcing in October that it would be closing the tax loophole known as the “Double Irish”—although, to be fair, that’s not expected to change much in the way of corporate taxation for international companies already domiciled on the Emerald Isle. Also, Ireland’s not completely abandoning the eminently favorable corporate tax rate for foreign companies that it has argued for years was fuel to its growth engine. Other reasons for Ireland’s action could be the announcement by the Organization for Economic Cooperation and Development (OECD) in September that as of 2017, 40 different countries plan to crack down on tax avoidance by multinational companies, and new U.S. Treasury Department rules designed to do the same. The latter has already resulted in the collapse of a planned acquisition of Irish drug maker Shire plc by North Chicago-based AbbVie Inc., and the decision by Chiquita Brands International Inc. to abandon plans to merge with Irish fruit importer Fyffes. Shire stock plunged 22% to a 12-year low on news of the deal’s collapse, thanks in large part to AbbVie’s insistence early on that tax benefits were not the primary reason for the deal. Its actions in canceling the transaction said otherwise to investors. But that doesn’t mean that Ireland is going all-out to become a tax trap instead of a haven. In fact, Ireland has staunchly defended its low corporate tax rate (12.5%, which gives it a substantial advantage over other countries) and repeatedly asserted that to do away with it—and satisfy members of the EU who claim it gives Dublin an unfair advantage—would result in serious harm to its economy. While the EU’s argument intensified after Ireland had to go hat in hand seeking a bailout, the final bow to international pressure by Dublin is not a surrender by any means. The way the Double Irish is designed to disappear will allow corporations time to make other arrangements. As of January 1, all companies incorporated in Ireland, according to Finance Minister Michael Noonan, will be deemed resident in Ireland for tax purposes and will be subject to the 12.5% tax. However, companies with existing Double Irish arrangements will be allowed to keep those arrangements till 2020. The way the Double Irish works is that companies put their intellectual property into an Irish-registered company that is actually controlled from a tax haven, perhaps Bermuda or the Caymans. Since Ireland taxes companies based on where they are run from, instead of where they are registered (the U.S. does the opposite), that means Ireland taxes royalty payments on those intellectual properties either minimally or not at all. While that will take something of a toll on Ireland’s economy, it’s probably not really much of a gamble, considering the OECD’s announcement. Since such a broad action is being taken globally, other tax-haven countries are watching to see what befalls Ireland—but are likely to take their own measures in the not-so-distant future to come into line with government crackdowns. According to Angel Gurria, OECD’s secretary general, its own recommendations to fight tax avoidance by multinationals will be presented to the G20 in 2015 under the joint Base Erosion and Profit Shifting project. The plan is aimed at creating one set of international tax rules that will both allow the protection of their tax bases by governments and also avoid restrictions on legitimate cross-border activity. To that end, countries will be sharing information from financial institutions to make sure there is international coherence on corporate income tax. 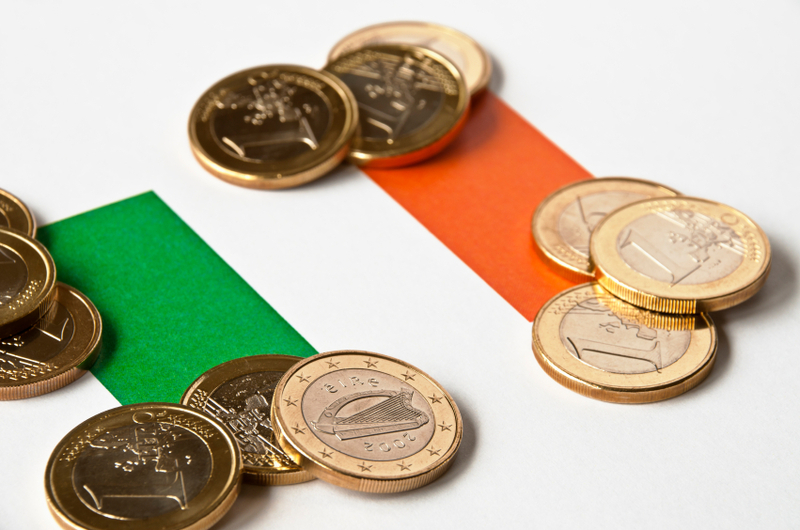 Ireland’s in a good position to pursue action on taxes, since its improving economy has included progress at its banks. Only one Irish bank failed its recent ECB stress test, Permanent TSB; the others passed with flying colors—a far cry from bailout days in 2010.